If you pre-register online, it costs £10 per adult and £3 for children and young people under 19. If you register on the day it is £15 per adult and £5 per child or young person under 19. You can be any age. Children in year 5 and below have to be accompanied by an adult age 18+ who has registered – please use the CHILD online registration form. Young people in year 6 and above can walk with their friends – please use the YOUNG PERSON online registration form. Young people under the age of 16 need parental consent to walk. Guernsey approx. 19km / 12 miles. 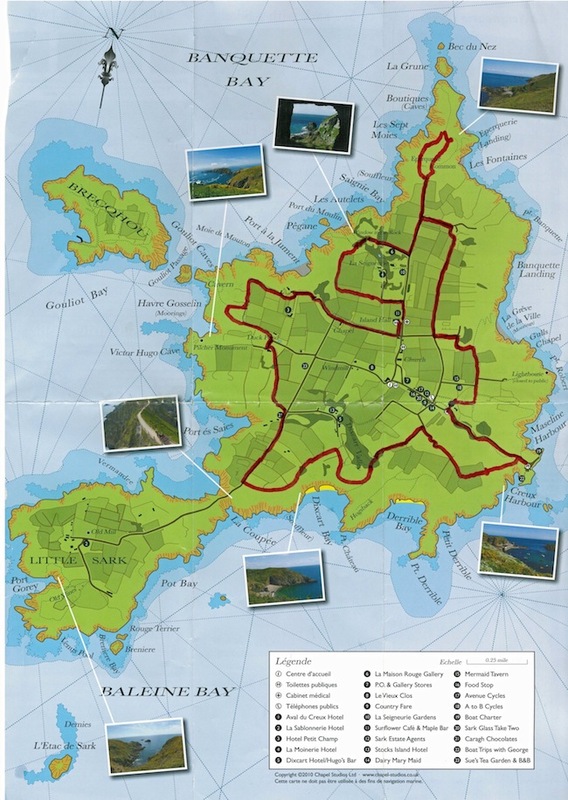 You will receive a link to the World Aid Walk Guernsey Map on your confirmation email. Maps will be available on the day. Can children walk part of the walk? Yes, young children can finish at any of the interim checkpoints. 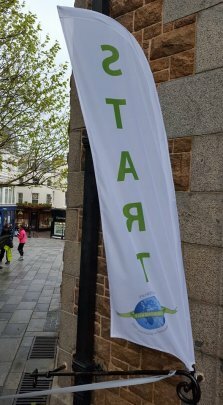 Are there any alternative start points? 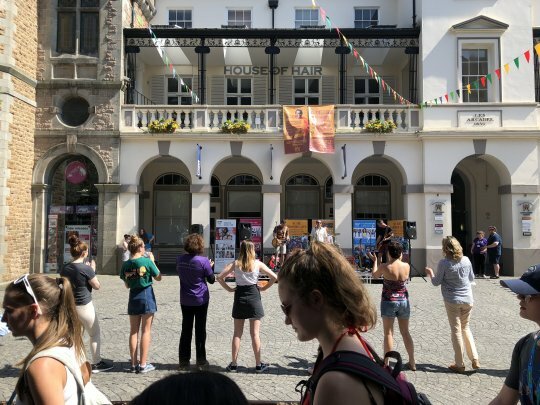 No, there is only one Start point – Market Square. Is there a limit to the number of walkers? Herm, yes – it is limited to 150, so register ASAP. How late can I register online? Why do we encourage pre-registration? 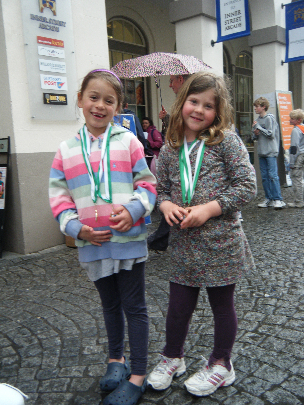 Two main reasons: to save you queuing on the day, and in the hope that you raise as much sponsorship money as possible. If you would like to make a donation straight away, there is an optional box on the online registration page. Email with a link to your personal online fundraising page, which you can have fun making personal to you. What if I haven’t got my emails? Please check your spam/junk first, and then contact us. What is my Walker Number? This is your unique registration number, which will be in your confirmation email. Please make a note on this and bring on the day. It allows you to be signed in and pick up your pin-on number, which you wear to identify you as a World Aid Walker. It should be quoted on any correspondence or paying-in slips, and written on the back of cheques, as it helps us identify any money paid in. What time does the walk start ? 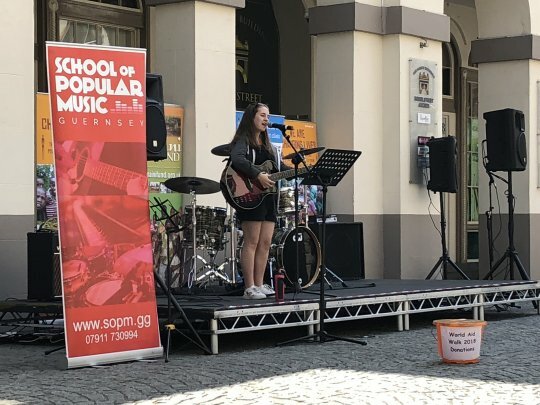 Guernsey – 9am Market Square. Check-in from 8am. Entry on the day from 8am. Herm – 9.30am Herm Harbour. Check-in from 8.30am. See Herm page for boat time. Sark – 10am from the Village Hall. The Start tables outside in the Market Square. Bring your Walker Number, as this will speed up check-in. You will be given a pin-on number to wear, which matches your Walker Number. 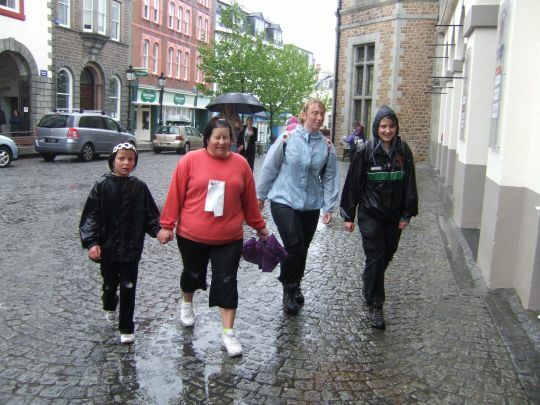 The Guernsey walk will be held whatever the weather excluding extreme conditions. 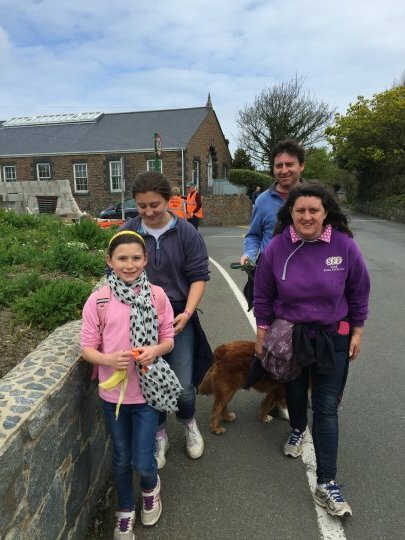 The Herm and Sark walk is weather-dependent – see Herm and Sark pages for what to do if weather is poor as it will mainly affect the running of the boats. You will have received an email with a link to a sponsorship form if you want to print it out to collect sponsorship in cash from family and friends. Or alternatively there will be an email linking you to your online fundraising page, which you can send out to all friends and family to sponsor you online. Can I download a sponsorship form from the website? No. Access to the sponsorship form is only available once you’ve registered. If you haven’t got one even though you’ve registered, please check for a link in your confirmation email, then contact us. What do I do with my sponsorship form when I have collected money? Please write your name and Walker Number on it in the space provided, and bring it with you on the day of the Walk, along with money collected. Hand these both in to check in. What if I’ve got money pledged but I haven’t collected it? There are instructions on the form for paying in money after the walk. Or you can ask your sponsors to use your online fundraising page. Please hand in the sponsorship form, and it will be stamped and ready for you to pick up at the end of the Walk, so that you have proof of completing the event, and can collect sponsorship afterwards. What if I haven’t collected any money or don’t feel able to collect any? You can make a donation online at the time of registering or at any other time via our website, or bring a donation on the day. 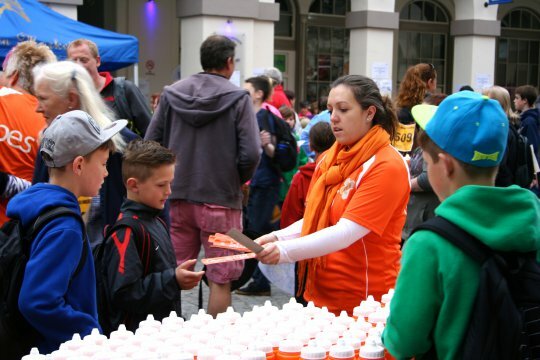 If you hand in your sponsorship form, even if has no pledges on it, it will be stamped and be ready for you to pick up at the end of the Walk, so that you have proof of completing the event, and can collect sponsorship afterwards. What if I don’t have a computer or can’t register online? The postal entry form is available to download here 2019 Entry form for those who wish to register by post with a paper copy. You will be sent emails in the same way as if you had registered online. Let us know on the postal entry form and we will post you a sponsorship form and your unique Walker Number. What if registration has closed but I still want to walk? 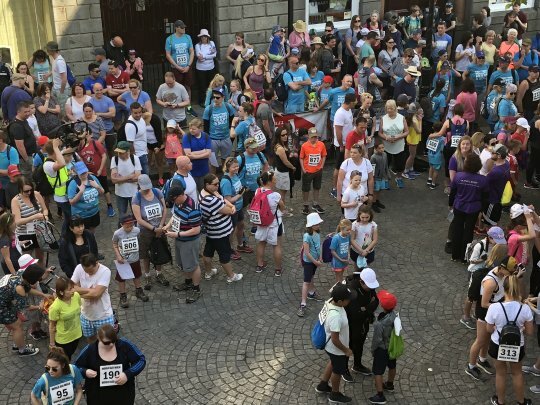 You can turn up on the morning of the Walk and register at the late entry table in the Inner Street, Market Square, from 8am. The 2019 late entry form can be filled in at home, and brought to the late entry table. Blank forms will also be available on the day. The cost on the day is £15 per adult and £5 per child / young person under 19. 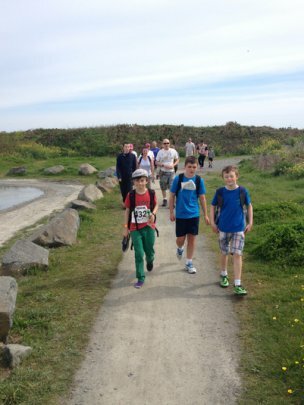 All walkers require a Walker Number on the day of the Walk, including adults accompanying children in school year 5 and below. This is for insurance purposes and not for sponsorship reasons. 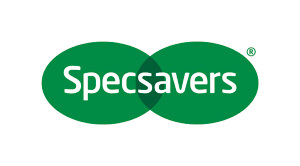 In order to encourage our late entry walkers to collect sponsorship monies after the Walk, we will make the fee reclaimable if late entry walkers raise more than the fee paid. Please be prepared for queues – if you can register online beforehand, please do! You can do this by clicking the green buttons on the right of this page. So, check the weather forecast, fish out your sunscreen and hats (we hope! ), and we’ll see you there! Race-Nation provides the online registration service. If you need help or if you haven’t received your emails, please check your junk/spam and then get in touch. or https://www.race-nation.com/contact-us-jersey/ if you want to ask them a question not covered on their support page.